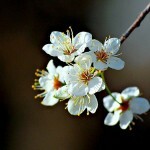 The Mexican Plum is a single trunk small tree that can grow up to 35 feet tall. Mexican Plum will produce showy white flowers early spring, these are followed by purplish red fruit in late summer which are great for making jelly and preserves. Mexican Plum is deciduous and leaves will turn yellow in the fall. The Mexican Plum can tolerate sun but does better with afternoon shade since it naturally grows as an understory plant. 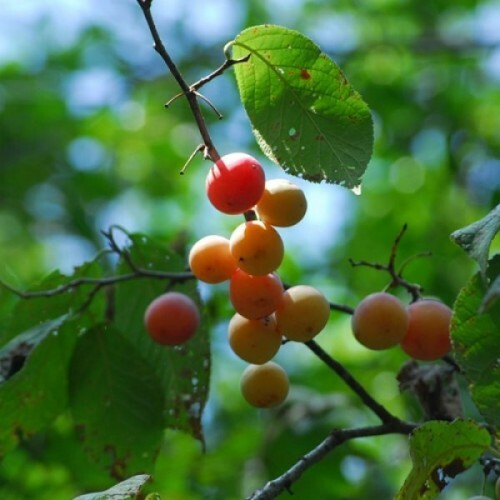 Mexican Plum does best in a deep well drained soil. Prunus mexicana is native to Texas, in the Northeast to North Central areas as well as Edwards Plateau. Germination 1. Soak the seeds in a bowl of cool water overnight. Lay the seeds on a flat surface to dry for several hours. 4. Prepare a pot for each seed. Fill 8-inch plastic pots with garden soil taken from the bed where the trees will eventually be planted. Sow one seed in each pot at a depth of 1 inch. 5. Water the seeds to a depth of 3 inches after planting them. Maintain moisture at a 3-inch depth during the germination process. 6. Place the pots outdoors in a sheltered spot where they will be exposed to direct sun in the morning and afternoon. Protect the seeds from direct sunlight during the hottest part of the day since the soil will warm too quickly and dry out. 7. Watch for sprouting one month after sowing. Maintain the same light and moisture conditions provided to the seeds during germination until they grow to 4 inches in height.